Vangi Bhath~ My entry for Srivalli`s Rice Mela. 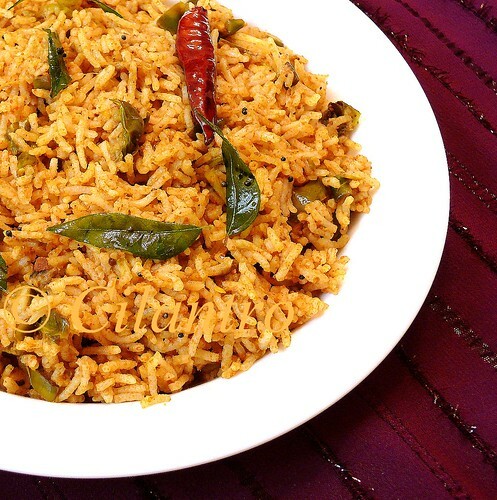 Vangi Bhath is a rice-based dish with its origins in the state of Karnataka, India. Some typical dishes include Bisibele Bhath, Saaru, Vangi Bhath, Akki Rotti, Ragi mudde, and Uppittu. The Vangi Bhath Masala, prepared in different ways in different regions is a comination of many spices which contribute to its unique flavor and taste of this dish. Typically Karnataka cuisine is milder in spice level when compared to Andhra and Tamil cuisine. Eggplant/brinjal has been my favorite since childhood. The long green variety is a rare find at Indian grocery stores in Seattle so when I saw them yesterday, I grabbed some with Vangi Bhath coming to my mind instantly. I had the chance to try the Vangi bhath for the first time on one of our college trips. My friend (also our neighbors from Karnataka) brought Vangi Bhath for us. I fell in love with the taste of sauteed brinjals in aromatic spices and managed to get the recipe from her mom. Extract the pulp from the tamarind. Keep aside. Heat a teaspoon of oil and add the ingredients to fry in the order given. When the coconut looses the moisture, remove and let it cool. Dry grind and keep aside. Heat 1 tablespoon of oil in a kadai/pan. Add the sliced eggplant/brinjal and saute for about five minutes. Add the turmeric, salt and tamarind extract. Cook until the eggplant/brinjal is done and it forms a thick gravy. 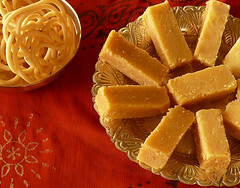 Add the jaggery towards the end since jaggery stops the cooking process. Add the powdered masala powder. Mix well. Add the eggplant/ brinjal masala to the rice. Heat 1 tablespoon of oil or ghee/clarified butter in a kadai/pan. Add the mustard and when it splutters, add the asafoetida red chillies and curry leaves. Add to the rice and mix everything gently so as not to break the rice. Serve hot with salad/raitha, appalam/papad or potato chips. Tips: Cashews are optional. Roasted peanuts can be used instead. I have used the long green variety. Any other variety can also be used. The masala can be prepared well in advance to be used later- omitt coconut in that case. Lime juice can be used instead of the tamarind. Add the juice to the rice and not to the gravy. Thanks for the recipe Cilantro. 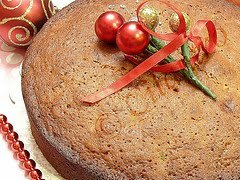 I am new to cooking and learning different recipes. I like the detailed procedure you give in your recipes. Rice looks delicious. I love your site. Every items looks so good. I tried many items. My family loved it. Thank you for sharing. Thank you Radha, I am glad you and your family like the recipes posted here on Cilantro.